On October 4, at approximately 8:30 a.m., Calcasieu Parish Sheriff’s Office deputies were dispatched to a home on 8th Street in Lake Charles in reference to an assault. 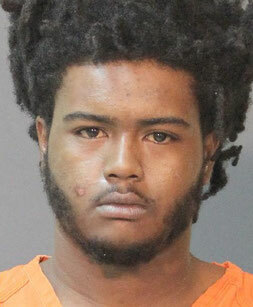 During the initial investigation deputies spoke with the victim who advised she was outside when two individuals, later identified as Quentin S. Hollins “Q”, 20, 716 17th Street, Lake Charles, and Miranda I. Darby, 37, 2034 11th Street, Lake Charles, arrived at her home and placed a handgun to her head. She stated they threatened to kill everyone at the home. The victim then told deputies that Hollins told her one of her family members owed him money and he then stated if he did not get the money he was going to return to the residence and kill everyone. 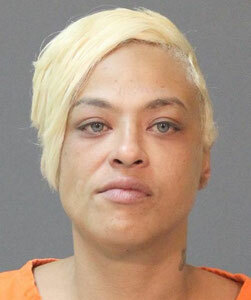 Later the same day detectives located Darby at her home and she was arrested and booked into the Calcasieu Correctional Center and charged with aggravated assault with a firearm. Judge Sharon Wilson Set her bond at $5,000. The same day Judge David Ritchie signed a warrant for Hollins’ arrest in the amount of $1.5 million for aggravated assault with a firearm. The Calcasieu Parish Sheriff’s Office is asking the public for assistance in locating him. If anyone knows Hollins’ whereabouts, or has any information in regards to the incident please call CPSO lead Detective Travis Mier at (337) 431-8034 or Crime Stoppers at (337) 439-2222.